Federal agents raided the Bicycle Casino on April 4th at approximately 7am and closed the casino portion. According the Los Angeles Times’ unnamed sources, the Los Angeles High Intensity Financial Crime Area Task Force served the federal search warrant. The raid was part of an ongoing probe into possible money laundering in which players may have exchanged “dirty money” for chips, in turn cashing those in for “clean money.” The hotel portion was not closed and guests were allowed to enter and leave the premises. ICE did not announce when the casino portion would re-open. 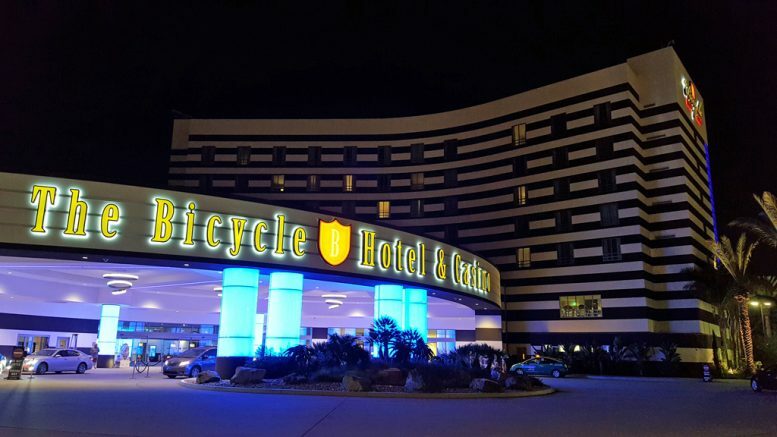 This is not the first time the Bicycle Casino has been raided by the Feds. Back in 1990, the Feds took over control of the casino when a jury decided that about half of the money used to build the casino was from Florida drug money. Later the Feds sold their share to a British Gambling company. Be the first to comment on "Feds Raid Bicycle Casino Again"